I’ve got an important game this week! How can I make sure I play well? This is another of those questions sports coaches get asked all the time, and to be honest it’s one of the most difficult to answer. If I knew how to guarantee a golfer played their best on any given day I’d have every pro golfer in the world hanging on my words. Here’s the only advice I have to give, simply, make sure you Practice beforehand. An hour or two on the driving range can make all the difference, but even 20balls before you play helps! This isn’t about learning a new technique or fixing errors it’s about using what you’ve already got to the best of your ability. I’ve added some notes in italics to help you if you really have very little time. This article will help you practice with a purpose. Are you pushed for time? If so, scroll down to the summary! a: Practice your putting for a third of your practice time. I wrote about my two favourite putting drills here. If you’re pushed for time: Practice sinking as many 3-4ft putts as you can. 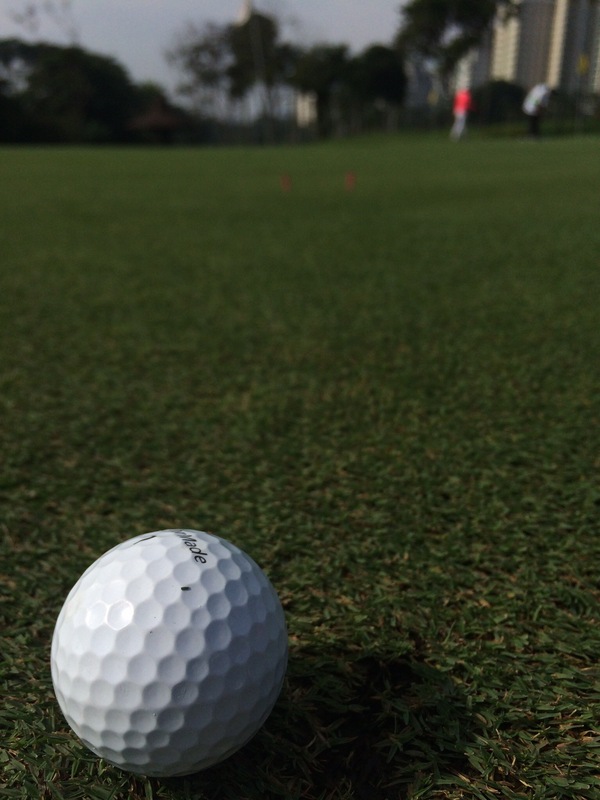 b: Practice your short game (0-50 yards and 50-100 yards) for a third of your practice time. Two categories of short game shots here and I explain my super simple short game routines in this article here. If you’re pushed for time: Practice shots at less than full speed with your shortest wedge, make a mental note of how far that shot goes. Next practice full swings with your longest wedge also note how far those shots fly. c: Practice your drives and approach shots for a third of your practice time. My routines, again super simple are laid out in this post here. If you’re pushed for time: Hit some shots with your favourite approach club and then switch to your usual tee off club. Try to make both swings feel the same. d: Save some extra time to practice the part of your game you consider to be your strength (for me that’s shots from 100-120 yards, and so in my full-length practice session I love to hit 100 of these). Ian Baker-Finch made a great point in a recent interview, he said that he wished he focused more on building up the strongest parts of his game after winning The Open in 1991 and not trying to become a new type of player. Practicing what your good at is fun and keeps you sharp. If you’re pushed for time: Don’t be tempted to skip this step! It’s important!! Spend as much time as you can on the putting green. Spend time on chips and and pitches, shots inside 40 yards. Spend some time on full shots. Spend some time on your favourite shots.